Email addresses — for example, me@example.com — encompass several elements. Most prominent is the at sign (@) character in the middle of every email address. Before that comes the username, which is "me" in this example. After that comes the domain name, which is "example.com" in this example. Preceding the @ sign is the username. 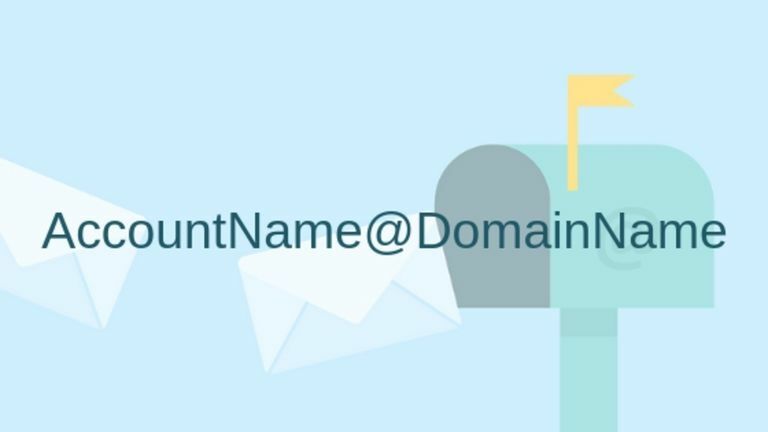 It designates who at a domain is the owner of an email address — in our example, me. Whoever sets up your email address (you, your school, or your employer) selects the username. When you sign up for a free email account, for example, you'll enter a creative username of your own. When you create an email username that will be used in a professional capacity, there are a few standard formats that convey professionalism. For example, using your first name is friendly and easy to remember, such as Bill@example.com. It also affords some anonymity by not exposing your last name. Unfortunately, if you set up an email address on a popular email system such as Outlook or Gmail, you may find that common first names are taken. These do offer less anonymity, however. Again, on large email systems, even these more specific usernames may already be taken. There are some limitations with usernames, such as the maximum number of characters that can be used in the email address, and the allowable characters. Everything that is not explicitly allowed is forbidden. The relevant internet standard document, RFC 2822, lays out which characters can be used in an email address. In the standard's parlance, the username in an email consists of words, separated by dots. A word in an email address is called an atom or quoted string. An atom is a sequence of ASCII characters from 33 to 126, with 0 to 31 and 127 being control characters, and 32 being whitespace. A quoted string begins and ends with a quotation character ("). Any ASCII character from 0 to 177 excluding the quote itself and the carriage return may be placed between the quotes. Backslash characters may also be used in email addresses, but they perform a different function. The backslash quotes any character and causes the following character to lose the special meaning it usually would have in the context. For example, to include a quotation character in an email address, place a backslash in front of the quotation character. In short, lower-case characters, numbers, dashes, and the underscore are allowed in your email address. Domains on the Internet follow a hierarchical system. A certain number of top-level domains (com, org, info, de, and other country codes, for example) exist, and these make up the last part of every domain name. Within each top-level domain, custom domain names are assigned to people and organizations applying for them. The domain owner can then set up sub-level domains freely, to form something like bob.example.com. Unless you buy your own domain, you don't have much say over the domain name part of your email address. So, if you create a Gmail address, you have no choice but to use gmail.com as the domain name. Ever Wondered How Long You Can Make an Email Address?